ASUS, the Taiwanese leader in mobile technology, today announced an exciting new price for its most sought-after entry-level smartphones – the ZenFone Max M1 and ZenFone Lite L1. Both of the smartphones are now available at ₹6,999/- and ₹4,999/- respectively, on Flipkart. The new prices are applicable from 19th April, 2019. In line with the hallmark of the ZenFone Max Series – ZenFone Max (M1) offers a class-leading Qualcomm Snapdragon 430 Octa-core Processor along with high-capacity 4000mAh battery. With its expansive 5.45” full view display, compact size, convenient face and finger print unlock and high capacity RAM and Storage, ZenFone Max (M1) has the stamina to go the distance, and lets users enjoy uninterrupted smartphone experience — all in a stylish metallic-finished design that’s ergonomic and comfortable to hold. In addition to the front 8MP f/2.0 selfie camera with LED flash, ZenFone Max (M1) features an 13MP advanced rear-camera system with LED flash and f/2.0 aperture lens to capture clearer photos. The smartphone also features a phase-detection autofocus (PDAF) system that can accurately focus on the subject. Powered by class leading Qualcomm Snapdragon 430 Octa-core Processor, ZenFone Lite (L1) features a 5.45” Full View 18:9 display, offering an immersive cinema-like entertainment experience in a comfortable-to-hold form factor. The high-capacity 3000mAh battery, gives all-day standby with extended talk times and the ability to enjoy their music or videos for longer. ZenFone Lite (L1) is equipped with up to a 13MP rear camera with phase-detection autofocus (PDAF) and 5MP front camera with LED flash, which helps to click images in dark lighting conditions. ASUS is the only official PC partner of ESL One Mumbai 2019 that marks the biggest DOTA 2 tournament to be ever hosted in the country. Scheduled from 19th – 21stApril, ESL One Mumbai 2019 with a capacity of up to 8,000 seats, the NSCI Dome is well designed to host large scale entertainment and sports events, serving as a fitting new home for ESL One Mumbai 2019. Twelve of the best Dota 2 teams will battle over a lion’s share of the $US 300,000 prize pool and the coveted championship trophy at India’s first Dota 2 mega event. The event validates the growing user-base for e-sports in the country. Popularity of e-sports has been consistently on the rise, with estimated 2 million enthusiasts and 2 million occasional viewers. 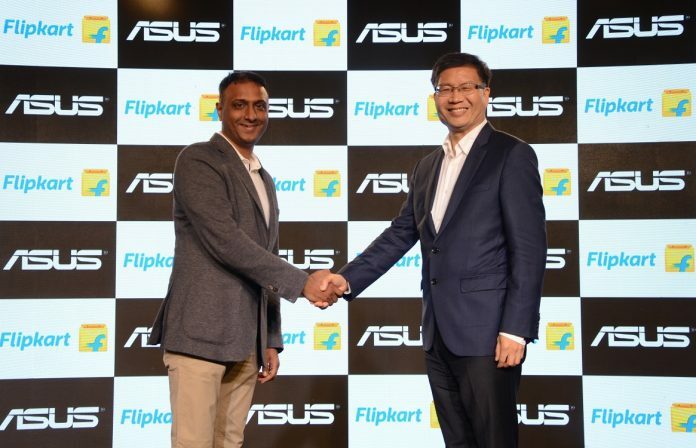 PC-makers and OEMs like ASUS have been at the forefront enabling India’s transition into an e-sporting nation, by introducing compact designs and power-packed features. With ROG and TUF, ASUS has,tilldate, combined powerful performance with portability to offer Indian gamers with cost-effective and captivating gaming laptops. With ESL One, India will have its very-first big-stadium e-sports event. Thousands of passionate gamers can vibe with their tribe and witness the exciting e-sporting action together in Mumbai. BlackBerry Limited (NYSE: BB; TSX: BB) announced today that in light of Emtek’s decision to end its service of BBM for consumers on May 31, 2019, the company is making BBM Enterprise (BBMe), its enterprise-grade end-to-end encrypted messaging platform, available for individual use. This decision was made out of BlackBerry’s respect for loyal BBM users and was not a contractual obligation. It will not affect the company’s financial guidance and enterprise software strategy. Starting today, users can download BBMe from Android’s Google Play store. It will be available in the Apple App Store soon. BBMe will be available for free for the first year. After the first year, a 6-month subscription will be available for USD $2.49. For 35 years, BlackBerry has provided a secure way for people to communicate. In 2016, the company licensed BBM Consumer to Emtek as part of its transition into a growing billion-dollar security software company – whose technology today is used by the world’s largest public and private organizations, as well as embedded in drones, planes, MRI machines, industrial equipment, and more than 120 million vehicles on the road today. BBMe is a secure messaging platform that also protects your privacy. 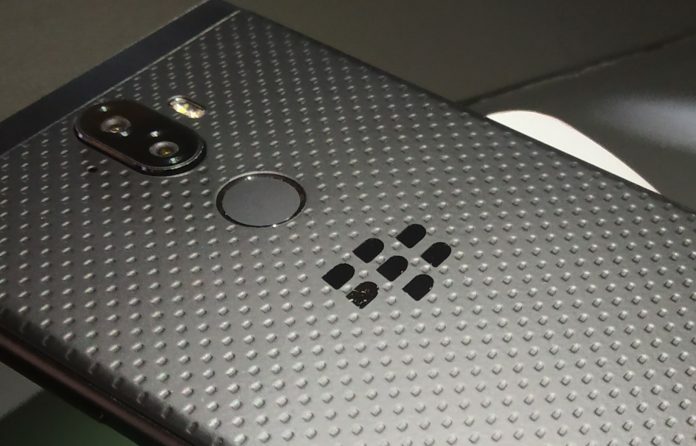 Because BlackBerry does not monetize data, the service won’t ask for a phone number, suggest contacts to users, nor does it desire to know where users are messaging from, or what is being shared. The service only requires an email address to sign up unlike other apps. From a feature perspective, BBMe users can conduct group chats, voice and video calls, as well as edit, retract, or set an expiration time on a single message. They’ll also know when a message is received and read, and have the ability to share files, voice notes, and their location. BBMe for individual use can be used on up to five devices simultaneously. To learn more about BBM Enterprise for individual use please visit BlackBerry.com/BBMe. realme, the No. 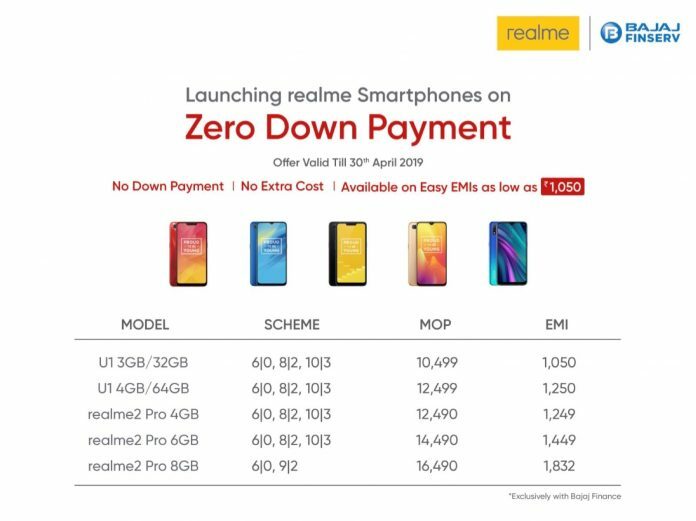 1 emerging smartphone brand in India, has partnered with Bajaj Finserv, India’s fastest growing and most diversified non-banking financial corporation, to offer a Zero Down Payment offer on realme U1 and realme 2 Pro devices. The exciting offer, gives realme fans an opportunity to purchase the phones at easy EMIs without any extra cost. The offer will be valid for all purchases on realme U1 and realme 2 Pro variants with all realme partners offline across India till April 30, 2019. 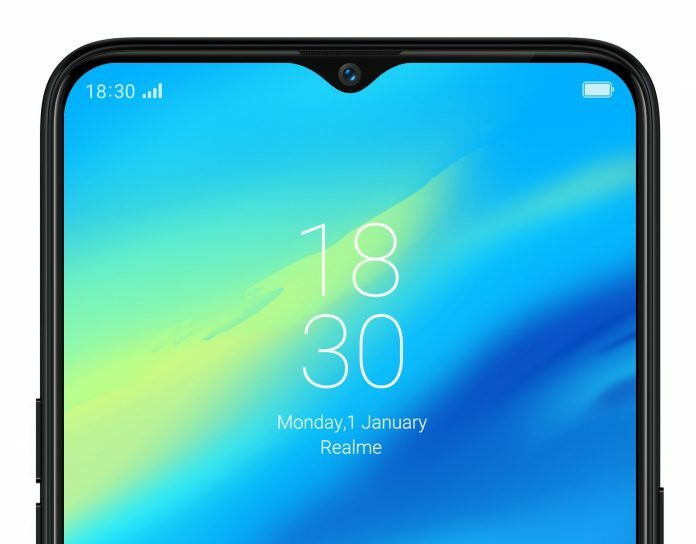 This is yet another initiative by the fastest growing smartphone brand to offer the best and most convenient way to its fans to buy all realme products. 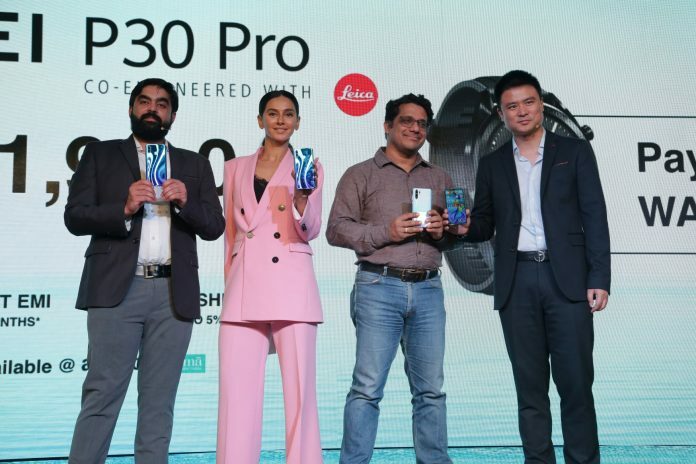 Huawei Consumer Business group India, today announced that the HUAWEI P30 Pro will be available in Croma, the leading Indian retail chain for consumer electronics and durables starting from April 19th, 2019. 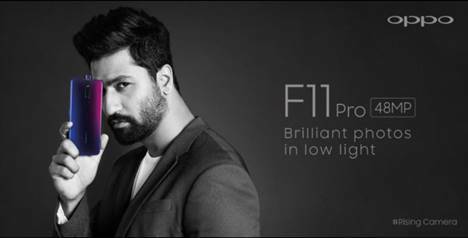 Priced at INR 71,990, the device will be available in an 8GB RAM + 256 GB ROM variant and will be available in two breath-taking colours, Breathing Crystal and Aurora. Early bird consumers will get an exclusive bundle with the HUAWEI Watch GT for INR 2,000 extra (Total of INR 73,990). Customers can also avail the benefit of 18 month no cost EMI on HDFC, ICICI and CITI bank credit cards at Croma. Huawei has partnered with JIO to bring exciting offers to customers. Bundled with JIO, consumers can avail ‘Double Data’ recharge for first 5 recharges. Additionally consumers can avail benefits worth INR 7800 (Can include Make My Trip Coupons worth Rs.5600 & Zoom Car Voucher worth INR 2200) on the Huawei P30 Pro. The moment a customer performs a recharge of Rs. 198/299, 44 vouchers of RS.50 each will be credited to the customers MyJio account. HUAWEI P30 Pro features a 40MP primary camera with HUAWEI SuperSpectrum Sensor, a 20MP ultra-wide angle camera, an 8MP telephoto camera fitted with SuperZoom Lens and HUAWEI TOF Camera and a 32MP front camera. It features a new generation of FullView display that supports a resolution of up to 2340×1080. The 6.47’’ OLED Dewdrop display brings stunning colours and greater viewing. HUAWEI P30 Pro features world’s first 7nm mobile process chipset, Kirin 980, with stronger performance and lower power consumption. The device comes with a full support long-lasting 4,200mAh battery with intelligent power saving technology. It also features a new generation of HUAWEI SuperCharge, which supports 40W charging—enough to charge the device by 70 percent in 30 minutes, which is TÜV Safety Certified. HUAWEI P30 also features the revolutionary Wireless Reverse Charging technology, allowing the device to be used as a power bank for other gadgets. 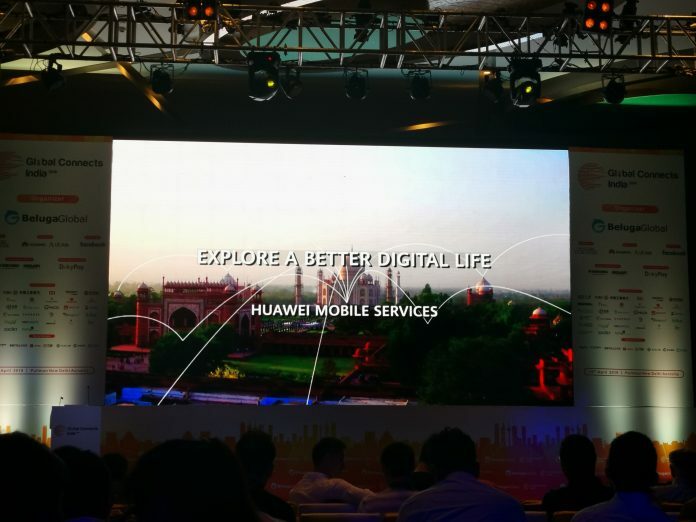 Huawei Mobile Services recently presented a keynote at the Global Connects India conference, one of the top events for the internet industry in both India and China that was recently hosted by Beluga Global. The launch highlighted potential opportunities for content developers and providers to expand outside of India. In industries such as online entertainment, internet finance, cross-border e-commerce, game release and even online education. Huawei Mobile Services has connected more than 300 India developers at the event itself, enabling them to expand and reach out to millions of Huawei and HONOR smartphone users worldwide, through HUAWEI Developer platform. 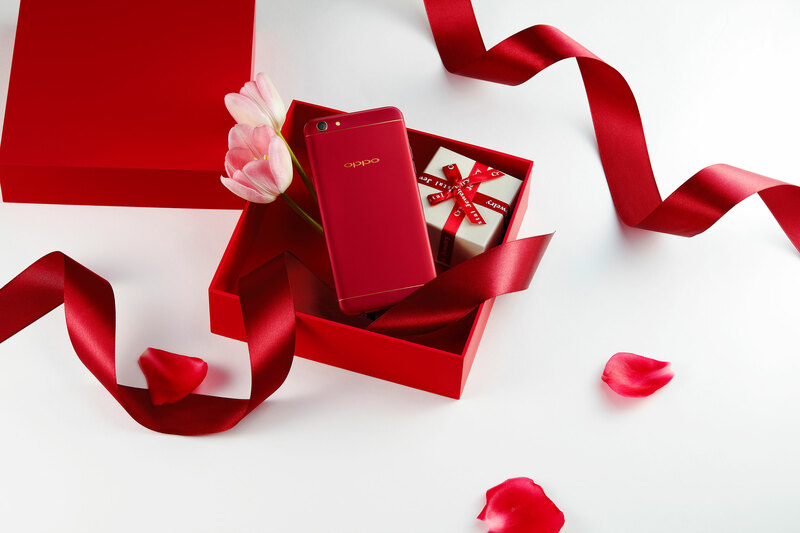 The significant growth of Huawei Mobile Services users in Asia Pacific increases from 30 to 50 percent monthly that draws the big attention of developers especially on HUAWEI AppGallery. The expansion of technological infrastructures that support internet and mobile connections in Asia Pacific has been translating the phenomenal growth of new internet users within the region in the recent years, thus experiencing a rapid growth of internet, digital, social media and mobile activity. According to the Digital in 2018 report, Asia Pacific is home to over two billion internet users, equating to an internet penetration rate of 48 percent. According to the 2017 Mobile Adobe Digital Insights (ADI) report, smartphones were the source of 500 million new internet users globally, with India and China contributing a staggering 366.3 million new consumers and Indonesia, 15.7 million. Such growth is expected to continue in a similar trend for more years to come. The large and growing digital population should help sustain digital business expansion and keep on attracting more businesses online, providing new ways for marketing in the Asia Pacific market and enhancing the fast-growing e-commerce sector. With Huawei Mobile Services making a clear footprint in India now, it marks a long-term expansion and growth in the large market. This enables entrepreneurs from different industries and brands to be exposed to infinite opportunities in expanding a wider outreach to the audiences outside of India such as Asia Pacific including China, and vice versa. Content developers and start-ups in India are now able to explore the road of entrepreneurship on HUAWEI Developer platform. Click here to join Huawei Mobile Services or contact asiahmsbd@huawei.com . For more information on HUAWEI AppGallery and Mobile Services, visit https://developer.huawei.com/consumer/en/doc . The three-day campaign will allow customers to buy innovative TCL TVs across categories such as smart, QLED, and Ultra HD TVs on EMI cost starting at INR 1,998 per month with no cost EMI. Purchases made during ‘TCL TV Days’ on Amazon India will also include several value-added benefits like hassle-free delivery, exciting cashbacks, no cost EMIs, no charge installation, and free wall mounts. Amongst the premium TVs listed for sale under the ‘TCL TV Days’ is the TCL 40S62FS, a 40-inch Smart LED TV that comes equipped with cutting-edge hardware and home entertainment technology. The TV will be available for sale for INR 17,990 during the three-day campaign, as opposed to INR 28,990 on any other day. Customers also have the option of choosing between 3-month and 6-month No Cost EMI plans, with EMIs starting as low as INR 2,998. Similarly, the TCL 65X4US – a 4K, QLED Smart TV which comes equipped with proprietary QLED technology – will be available for purchase at just INR 109,990, instead of INR 229,990. Customers can choose between 3-month, 6-month, 9-month, and 12-month No Cost EMI plans while purchasing the 65X4US and take home the immersive entertainment experience that it enables on monthly instalments as low as INR 9,165. Aiming to deliver superlative quality at the most affordable rates, TCL’s range of innovative home entertainment offerings come equipped with Harmon Kardon speakers, MEMC, a Google-certified Android system, and microdimming technology. Adding greater ease and premium to the home entertainment experience of TCL customers are other advanced features like built-in Chromecast, voice search, and Netflix. TCL’s partnership with Amazon will also ensure last-mile availability across multiple geographies, enabling customers around the country to purchase its wide range of products. So, what are you waiting for? Click on the link https://www.amazon.in/stores/page/B2CA12F7-82FA-4C91-8F6A-5BB82538C41B to purchase the best-in-class TCL offerings at the most affordable price – and enjoy a superlative home entertainment experience!